Is there an area in your life that you want to change? Your love life? Your job? Your sense of well being? Most of us search outside ourselves for answers. Only when we know what we want, we can change our situation. Or maybe you are waiting for someone else to help you, to save you. In either way you wait. But there is an easier, more powerful way and you can start today. Want your life to change? Be the change. There is a famous quote that is accredited to Mahatma Gandhi: “be the change you wish to see in the world.” I doubt whether he actually spoke these words himself, but it doesn’t matter. These words hold a deep truth in them. It are words I personally like to life by. You can apply them to every area of your life and give you a great amount of power. Because the truth is that you are the director of you own life and what you focus on grows. What you focus on influences your quality of life. Instantly. Do you want more love in your life? Be the love. Try to be more loving towards others, try to be more loving towards yourself. You will instantly notice a shift in your energy. Want to experience more joy? Do more fun things. Maybe you don’t feel any joy in your current job, but you can actively practice joy in your free time. Do things that give you joy and bring this joy to work on Monday after the weekend. Your coworkers will probably respond to you in a different way as well. Do you wish there was more peace in the world? Look at how you treat your friends and family. Can you be more tolerant in your relationships? Perhaps by putting yourself in their shoes, by listening to their side of the story. Can you find a way to feel more peaceful within yourself? Maybe by meditation or walking in nature. So what do you want to change the most in your life? What can you do differently right now to allow this change into your life? Sometimes we look outside ourselves to find answers to our problems. We want other people to help us with our problems, or perhaps even save us from the terrible situation that we may find ourselves in. But it is important to realize that they cannot do it for us, you can only do this for yourself. The truth is that one is going to save you. No boss, no husband, no friend. And that is a good thing. Because all the power lies with you. You are the creator of your own life. So how can you give yourself what you need? How can you stop being a victim and start being the super woman that you truly are? Taking responsibility for yourself and your life is a huge step towards a better life. Even in the darkest of days, there is always light. Focus on that. When you find yourself in a difficult situation just focussing on the light is being a hero. It takes courage to pick up the pieces. It takes courage to not blame others or circumstances for your problems. It takes courage to take responsability and look for solutions yourself. And yes you can ask others for help. Nothing wrong with that. As long as you stay connected to the power within you. The power to create your own change, the power to create your best life. It starts with you. Imagine that you can paint your life… What colours would you use? Are you used to traveling by airplane? Then you are probably used to hear this instruction: “First put on your own oxygen mask, then attend to your children.” Think about that. You are in a crisis situation and for the safety of all, you have to attend to yourself first. Why? Because if you are without oxygen, you can’t help anyone else. Not even the more vulnerable ones that rely completely on you to help them. It is as simple as that. The same principle applies to your life. Are you someone that is used to helping other people a lot? And do you feel tired and overwhelmed as a result? Shift the focus and think about yourself first. Imagine that you are a cup of energy and you are giving so much to others that you are left without energy for yourself. Imagine another cup that is filling itself with energy constantly. Because you take care of yourself, do fun things, take time to recharge your batteries… Your cup is so full of energy that it is overflowing. In which situation can you help others better do you think? Make it a habit of asking yourself what you need. What do you need to feel energized? What do you need to feel joy? What do you need ? It may be healthy food, exercise, rest, reading inspiring books, frequent walk in nature, attending to a creative project, listening to music, talking to like-minded people. It can be whatever gives you peace and joy. Take care of yourself before you take care of others. It is not selfish, it is the best thing you can do. For yourself AND others. So what can you do today? How can you be the change you wish to see in the world? How can you show up in a different way? How can you make yourself proud and be your own hero? How can you take excellent care of yourself by putting yourself first? Listen to the whisper of your intuition. Do that. 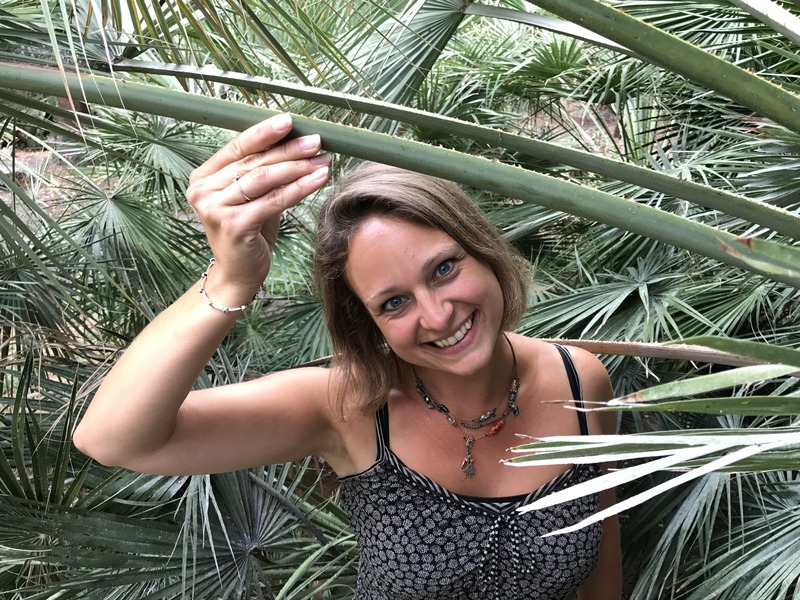 Hi my name is Mirjam Overbeek, a Dutch Authenticity Coach living on Tenerife. I love helping women to reconnect with themselves and their dreams, stop living up to expectations of others and have the courage to pave their own unique path. I believe it makes the world a better place when we follow our heart. 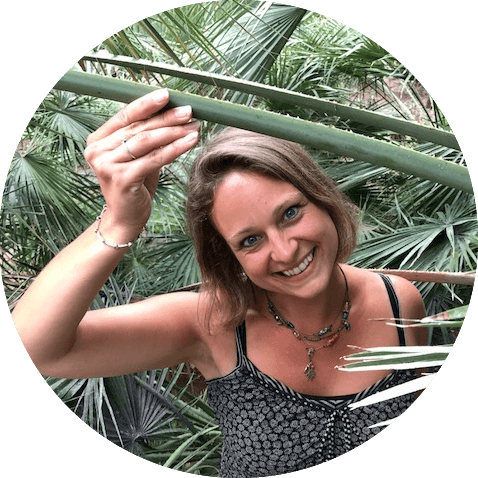 I offer 1-on-1 coaching via Skype and retreats on Tenerife. Want to see what I can do for you? Schedule a free Clarity Call with me. It will give you instant clarity in the area of your life where you feel stuck right now. What happens if you accept yourself just the way you are? Right here and now. Keep moving. Life is all about taking the next step, and then the next and the next. It sounds so simple “just be who you are”. But it may take some effort. These tips get you started. Want to change your life? Your love life? Your job? Your sense of well being? Start with this. Register here to recieve my latests posts, inspiration and valuable offers by email.